New Mexico Biotechnology & Biomedical Association » Resources to Grow Your Biotech Company – What Can Incubators/Accelerators Do? Past EventResources to Grow Your Biotech Company – What Can Incubators/Accelerators Do? Our October program will host a panel of representatives who will provide an overview of incubator and accelerator resources in the Central New Mexico region. The program will discuss ways entrepreneurs can utilize these resources. 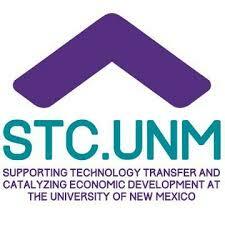 Are these facilities meeting the needs of New Mexico startups? Panel members: Lisa Adkins, The BioScience Center; Doug Lee, WESST Enterprise Center; Marie Longserre, Santa Fe Business Incubator; and Cara Michaliszyn from the Science and Technology Park at UNM. Doug Lee, WESST Enterprise Center; Doug has comprehensive experience in incubator management having developed and directed a successful technology incubator program prior to joining WESST. He also has years of business leadership experience as former President of a Washington, D.C. advertising and direct-marketing firm. His goal for the WESST Enterprise Center is to create a world-class learning and business environment supporting entrepreneurs. Doug’s passion is mentoring early-stage businesses. He’s an avid hiker, biker (with bruises) and skier. He has traveled extensively throughout the U.K., Europe and parts of Turkey. Marie Longserre, Santa Fe Business Incubator: Marie has served as President and CEO of the SFBI since it was constructed. She helped bring the first clients into the Incubator in 1997 and guided the fundraising and expansion of the facility and program in 2001. She supervises the overall program, facility and fiscal agency and manages SFBI collaborative relationships, public relations and policy. Cara Michaliszyn joined STC as a Student Office Assistant in May 2006 and is currently the Marketing Manager. She works with the innovation staff and supervises the student interns to develop and support the marketing of UNM’s extensive portfolio of technologies. Cara also manages the corporate marketing for STC. Cara has an M.B.A. with a concentration in Marketing from UNM’s Anderson School of Management and bachelor’s degrees in Psychology and Sociology from the University of New Mexico. Resources to Grow Your Biotech Company – What Can Incubators/Accelerators Do?